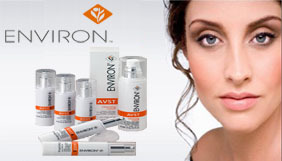 Whatever your skin type there’s an Environ range to suit you. Formulated by Dr Des Fernandes, a world-renowned plastic surgeon, the range contains a unique combination of active ingredients to protect the skin from environmental aggressors and combat the signs of ageing. 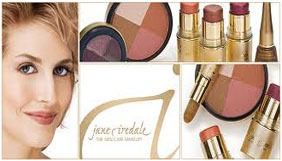 Jane iredale mineral cosmetics are made with the highest quality of minerals recommended by The Skin Cancer Foundation. This cult mineral make-up brand is hypo-allergenic and dermatologist tested creating beautiful coverage. The Advanced Nutrition Programme is a salon-only range of supplements containing only the finest and purest ingredients that totally support our Environ skincare regime. These premium nutraceuticals provide the optimum daily amounts of vitamins, minerals and anti-oxidants to help sustain glowing skin and vibrant health. 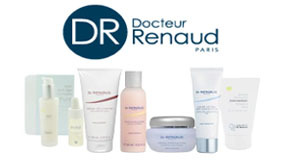 Dr Renaud is a specialist in natural cosmetology. 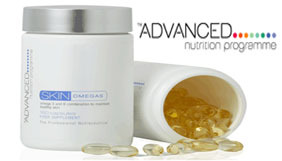 Active ingredients taken from fruits, vegetables and flowers, delectable fragrances, and are used to create treatments. That combines professional efficacy and sensory pleasure. Nailtiques is a unique, therapeutic nail care system designed to promote healthy, natural nail growth. Everyone’s nails are different and need treating in a very individual way to ensure their condition is improved. Whether nails are soft and thin, hard and dehydrated or just require a maintenance programme, Nailtiques has the formula to suit everyone. 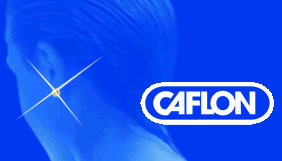 Calgel is a semi-permanent gel system available in over 90 different colours to perfectly match your desired look. Calgel is a thin flexible and durable gel system which is ideal for use on your natural nails and can be used to create nail extensions by using tips or gel sculptures. Calgel is perfect for long lasting colour on fingers and toes. Calgel also adds strength to the natural nail and offers chip free nail colour that can be safely and quickly soaked off to leave clean and damage free nails. Beautiful essentials that give us the confidence in creating long, lasting hands and feet services. An inspired system for pedicures, born of the sea, using marine botanicals and sea salts, cooling menthols, refreshing and intensely hydrating. For our manicures sweet almond is used for smoothing and protecting, and citrus for energising and firming. We use the award winning Solar Oils in the salon and for retail sale. CND SHELLAC is the Original Power Polish, and the future of nail services. A true innovation in chip-free, extended-wear colour! Shellac goes on like polish, wears like gel, and can be gently removed in minutes. 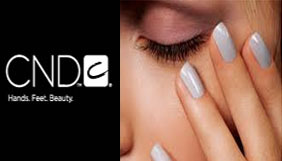 CND SHELLAC has revolutionised the industry, and beauty professionals and their clients swear by it. Shellac is the original, and the only power polish. Don’t accept “gel polish” substitutes that claim to be the same. 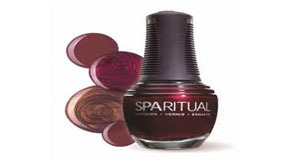 Nails are strengthened and enhanced with 14 days of durable colour. 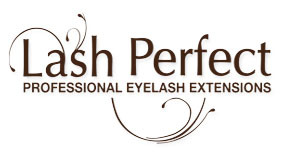 Lashperfect is a UK brand that offers high quality eyelash extensions are semi-permanent lasting up to 8-12 weeks with regular maintenance. Lash Perfect eyelash extensions provide thickness and length to natural eyelashes thus enhancing the charm and appeal of your eyes. A superb, warm based wax containing rose titanium dioxide which heals the skin much quicker, softening and soothing the skin whilst absorbing heat, this is used to protect the most sensitive of skins. We use the whole range of these high quality skin and hair products in the salon including the antiseptic Tea-Tree wax in our treatments. 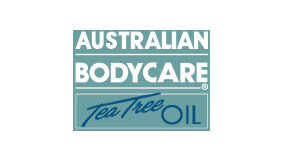 This professional beauty salon beauty range provides all the benefits of Tea-Tree oil (Melaleuca alternifolia). We retail the whole bodycare range for home-care use, as well as the aluminium-free deodorants. 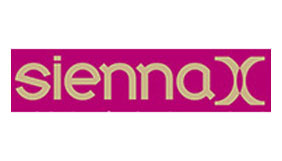 With the ever-increasing risks associated with the sun and sun-beds we offer The Sienna X range wich has been created with quality and luxury in mind. All of the solutions contain natural, nourishing ingredients which help enhance the newly-bronzed skin of our clients. This is a British surgical, quality ear-piercing system recognised world-wide, with disposable accessories. This is the safer way to pierce ears. One of the most successful nail brands in the whole world. Offering fantastic looking nails every time! Vegan nail polishes free of DBP, Formaldehyde Resin and Toluene.